ACTION is now cooling off at Benaraby Raceway for the Gladstone District Dirtriders Club, with the last of their meetings wrapping up a good year for the club. 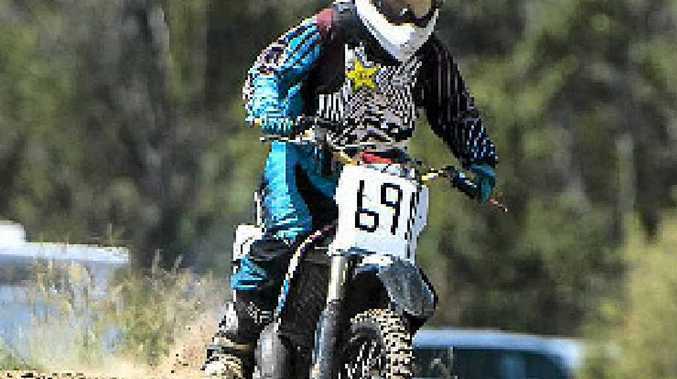 More than 60 riders took to a track that was in perfect condition for the two-day event, with many of the classes still up for grabs. The meet was held over Saturday and Sunday, with one round of racing held on the first afternoon, leaving three races in each class on Sunday. Conditions were certainly a test for the riders, with the temperature rising to 31 degrees, a little hotter than expected when the event was planned. "It gets too hot later in the year, so we decided September for the last meet, although it is hot enough now," Julie Maeyke of the club said. A large contingent of the riders for the Dirtriders last round are locals, although a handful did travel from Bundaberg and Rockhampton. Rather than organising another presentation for later in the year to hand out awards and places, the club opted instead to have a gathering at the track last night after all racing had been completed. "We figured that everybody has things on later in the year, so we would have presentations and the end of the round," Maeyke said. A calendar for the 2014 season is yet to be determined for the club, who will wait until November to know what dates are available.